Still available! Get these MUK LUKS Women's Daisy Sandals for only $23.99 (Reg. $46)! Shipping is FREE on this deal! 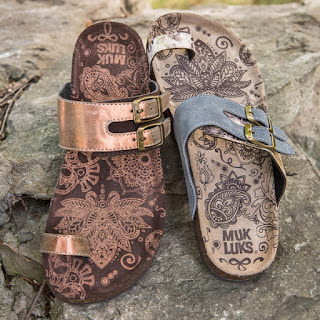 Enjoy our MUK LUKS® Women’s Daisy Sandals that never go out of style. This sandal is complimented with a contoured foot bed and dual buckled straps allowing for a perfect fit. Available in colors Grey, Purple and Copper in whole sizes 6-10. No Heel. Spot Clean and lay flat to dry. Imported. Here are this week's deals at Dollar General. 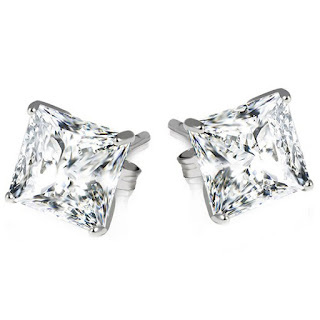 Right now get these Sterling Silver Princess Cut Earrings for only $5.99 (Reg. $129.99)! Shipping is FREE on this deal! Spoil yourself or someone you know with these beautiful irresistible Sterling Silver Princess Cut Simulated Diamond Stud Earrings! Great for any occasion and sure to get a lot of attention! 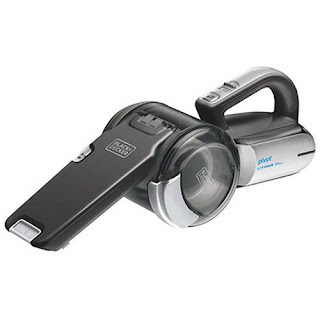 Check out this *HIGHLY RATED* Black+Decker MAX Lithium Pivot Vacuum, 20-volt $58.99 (Retail $79.99)! 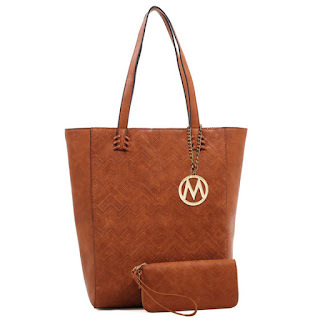 Check out this MKF Collection Mary Poppins Tote and Wallet Set by Mia K Farrow for only $39.99 (Reg. $299.99)! Shipping is FREE on this deal! Get ready for Spring Break travel with this Olympia USA Vortex Expandable Hardside Luggage Set Made with Recycled Materials (3-Piece) for only $179.99 (Reg. $760)! Large checked: 29”x18.5”x12”; 11.5 lb. 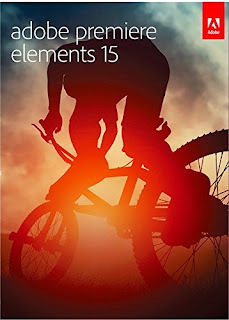 In need of this *HIGHLY RATED* Adobe Premiere Elements 15 $54.99 (Retail $99.99)! -Organize Its easier than ever to find videos by the places they were taken, the events they depict, albums, favorites, and more. -Edit Turn rough clips into real movies youll watch over and over. Easily remove unwanted footage, fix color and lighting, and drag and drop to quickly create your movies. -Share Share with friends and family the way that works for youvia disc, HDTV, YouTube, Facebook, Vimeo, and more. Here's a great idea for an Easter basket filler - just grabbed one for my six year old! 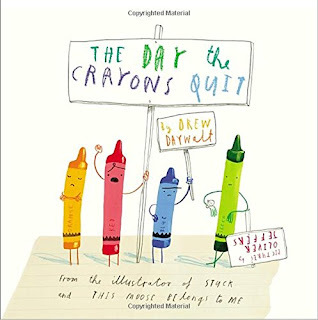 Right now you can get this The Day the Crayons Quit Hardcover Book for just $8.99 (Retail $17.99)! 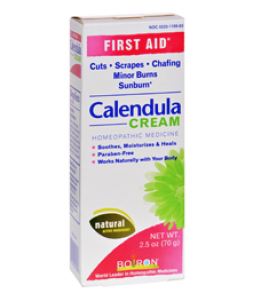 Check out how you can score Better than FREE Boiron First Aid Calendula Cream at Target! Just be sure to call your local store to make sure they have this in stock! Choose in-store pickup to dodge the $5.99 shipping fee. That's $13 off list! It features weatherproof, fiberglass construction. 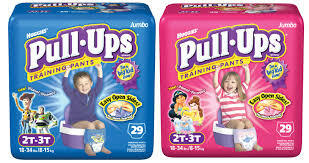 Make sure and print this $4/1 PULL-UPS Training Pants 7 ct. or larger when you purchase one pack of HUGGIES Diapers 10 ct. or larger coupon and then head to Target where you’ll get a FREE $15 Target Gift Card with select baby department purchase of $75 or more with an in-store coupon! This Target coupon will be found in the ad, on the Cartwheel app OR by texting SAVE to 827438. This offer will also be available online at Target.com and includes, diapers, wipes, training pants, baby toiletries, baby food, and baby formula. Final Price: $42.91 for all 9 packs – just $4.77 per pack! You'll find lots of boots priced at $89.99! There are over 40 styles to choose from. Please note, you must enter your email to shop the sale. Love this! 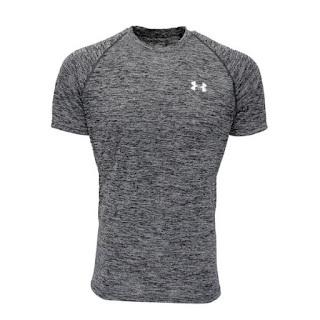 Under Armour Men's UA Tech Patterned T-Shirt $14.98 (Retail $29.99)! Make sure to use PZY1498 at checkout. UA Tech fabric with an ultra-soft, natural feel for unrivaled comfort. Signature Moisture Transport System wicks sweat away from the body. These are super popular and a great way to get away from chemical filled dryer sheets! 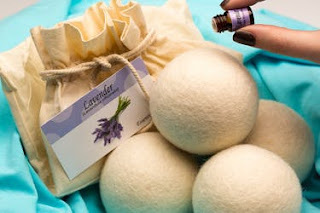 Right now these Wool Essential Oil Dryer Balls with Free Travel Size Lavender Oil are only $14.99 (Reg. $29.99). Shipping is $1.99 on this deal. Naturally soften your laundry, cut down drying time and eliminate chemical filled dryer sheets with these Wool Essential Oil Dryer balls. Simply apply a few drops of your favorite essential oils onto one or more of the four wool dryer balls, throw into your dryer allowing the balls to lift and separate clothing leaving you with freshly scented linens. 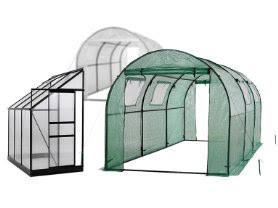 Today only save up to 47% Off Ogrow Greenhouses! Several styles to choose from and prices start at $179.99! $5 flat rate shipping on this deal! 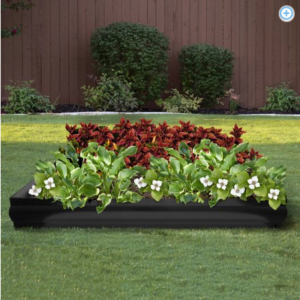 Tough and durable PVC cover manufactured from heavy duty reinforced mesh material that is waterproof and UV resistant. The cover is secured to the frame with strong fabric ties. Constructed with heavy duty powder-coated steel frames, with double middle rails for additional stability against the elements. Includes an anchoring system to securely anchor the greenhouse, using strong ropes with deep rooting stakes. Includes a 4 ropes and stakes system with an additional 16 metal stakes for added security. Full closed cover maintains high humidity levels for growing tropical plants, vegetables, fruiting plants and herbs. Extended cover design makes the greenhouse more airtight and secure! So cute! 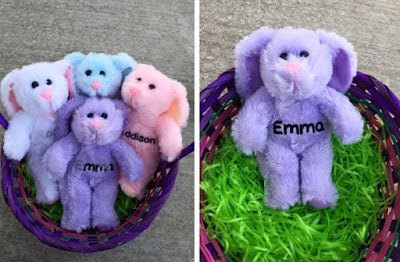 Right now you can get these Personalized Plush Easter Basket Bunnies for only $6.99 (Reg. $9.99)! ​These little cuties are the perfect addition to your Easter Basket! Each bunny measures 8.5" tall & is customized with your name of choice in glitter vinyl using a commercial heat press. This product is expected to ship by March 17th. $2.99 for the first item and $0.99 for each additional. Here's a pretty sweet deal! Head over and check out the deals on Gerber plus Save an additional 30% on your first subscription. 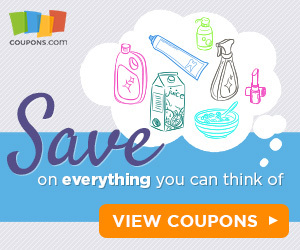 This discount applies to one eligible item on your first subscription. Browse around for your baby's favorite. These would make a great gift! Right now get these Silver and Crystal Cross Earrings for only $8.99 (Reg. $98). Shipping is FREE on this deal! Symbolic and stunning. 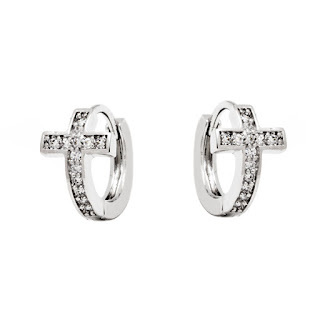 These gorgeous earrings are set in rhodium plated brass and feature a cross hoop design adorned with sparkling round-cut crystals made with Swarovski elements with a secure clip back closure. Let your faith shine with these radiant earrings. Guaranteed to retain its original silver content and color. Made in Brazil. Right now get these Everyday Jane Top | 12 Colors only $13.99 (Reg. $27.99)! These are very popular tops. They have a loose, flattering fit. They are so great to wear by themselves or to use as a layering piece. Wear them with jeans, leggings, and skirts. Layer with cardigans, blazers, jackets and more. 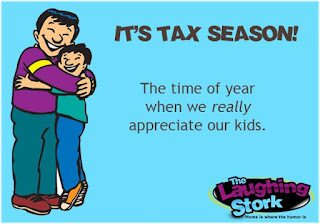 A great piece for all year round. $3.99 for the first item and $1.99 for each additional item. US only. Estimated to ship by Thu, Mar 9. Seller usually ships within 6 business days. Check out these *HIGHLY RATED* Amazon - Up to 40% Off Select Britax Car Seats $114 - $199! For example, Britax B-SAFE 35 Infant Slate Strie Car Seat $114 (Retail $209.99). One of my favorite shirts from Jane is the one on the Sleeveless Tunic on the left. Right now check out this Tunic Blowout / 16 Styles $12.99 (Retail $39)! The mother-load of our favorite tunics, ALL IN ONE DEAL! 15 Styles, 4 Sizes, Lots of Colors to choose from! $3.99 for the first item and $1.99 for each additional item. US only. Estimated to ship by Thu, Mar 9. Seller usually ships within 24 hours. This is a cool gift idea! Today only get the e-Go! 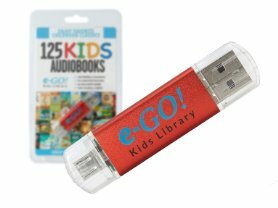 Portable Library 125 Children's AudioBooks + 75 eBooks for only $24.99! Fun For All Ages. 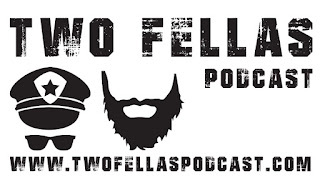 Listen or Read Your Favorites! Finally, an incredible way for children of all ages to be entertained while encouraging the love of reading. Announcing the all-new e-GO! KIDS Library. It's jam-packed with timeless stories like Alice in Wonderland, The 3 Musketeers and Treasure Island. Classics anyone can love again and for parents & grandparents to share alongside the children. Whether it be on the road, on a holiday, or simply at bedtime, this collection provides endless fun and entertainment. All in the palm of your hand, anytime and anywhere. 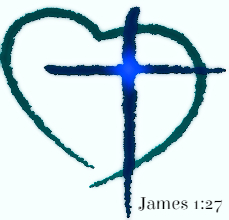 Consider it a perfect alternative to TV, Video Games or the internet. AudioBooks are a wonderful way to increase a child's appreciation of books overall. Be amazed as their appetite for literature multiplies! These are cute! Right now get this Long Sleeve Pocket Maxi Dress - 5 Colors only $22.99 (Reg. $64.99)! This dress is super comfy and looks amazing on... it also includes the belt. This product is expected to ship by March 6th. $5.99 for the first item and $3.99 for each additional. Check out these super cute New Spring Capri Leggings for only $6.99 (Reg. $19.99). Shipping is only $1.99 for the first item on this deal (additional only $0.99). You will fall in love with these new spring capri leggings! So stretchy and comfortable make these one of our best seller items. Perfect for spring and summer because of the cool light weight material.Comes in many different styles and colors,and can be paired with just about anything. Right now Save Up to 60% Off Calvin Klein Underwear, Lingerie and More $4.99 - $43.99! USAToday: AT&T announced two new optional plans on Monday. The first is called Unlimited Plus, which gives customers a receive a $25 credit on their monthly TV services (either DirectTV or U-verse). Customer can also get 10 GB data speed with this new program. It was only a couple of weeks ago that AT&T dropped the requirement for customers who wanted unlimited to tether it to their DirecTV or U-verse subscriptions. Customers who still want unlimited wireless on AT&T without tying it to a TV subscription have that option. The second new plan, Unlimited Choice, gives customers unlimited data for $60 a month (for a single line) or $155 a month for four lines. However this more budget friendly option on has a maximum speed of 3Mbps. Before you rush out and make changes to your plan be sure to evaluate what you really need and compare prices. Most Americans are very fearful of being audited by the IRS (I know I feel like I am holding my breath until tax season is over). The reality is that an audit by the IRS for an average American is not very likely. Audit rates for households that make $200,000 annually is less than 1%. 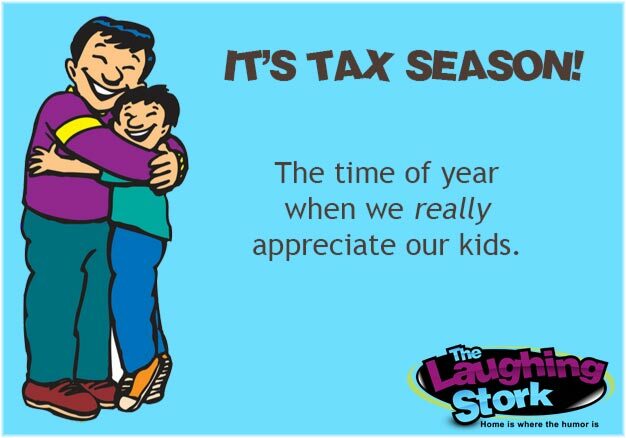 However the fear exists due to scam artists who threaten the worst, including police knocking down your door if you don’t pay a phony tax bill immediately. The IRS will not initiate first contact with a tax payer over the phone, email, text or social media... they will send a letter. The IRS will not demand payment via gift cards or pre-paid debit cards. Most correspondence from the IRS is requesting missing documents/forms or an adjustment to your return rather than an audit. Every Kid in a Park offers a National Parks 2017 Pass for free to the families of interested 2016-2017 fourth graders. That's a savings of $80. This pass grants admission to more than 2,000 federal recreation sites, including Yosemite, Yellowstone, and Grand Canyon. The pass expires August 31. According to DealNews Southwest Airlines via DealBase discounts Southwest Airlines 1-Way Fares Nationwide with prices starting at $39. (On the DealBase landing page, click on "Southwest Airlines" in the top line to see this sale.) Book this travel deal by March 2 for travel from March 14 through June 14. Prices vary by locations and days of the week. Hint: To find the best deals, search for departure and return flights on Tuesday, Wednesday or Saturday and use the “Flexible dates” option. Shop Groupon for savings on vacations and activities around Arkansas and the World. Ending tonight you can save an extra 50% Off Local Deals when you enter code DEAL50 (excludes Getaways).